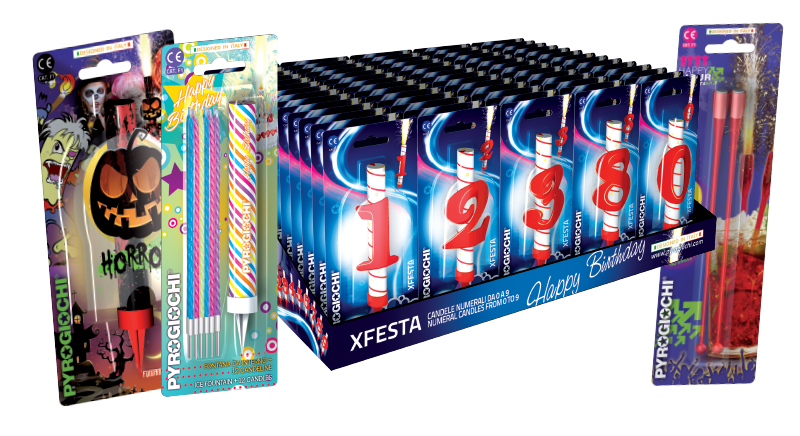 Indoor Firework selection packs were a huge hit in the 1970s with millions of packs sold. Difficulty sourcing and importing, new legislation and a change of tastes, despite a core group of enthusiasts, led to a drop in availability during the 1980s and 90s. 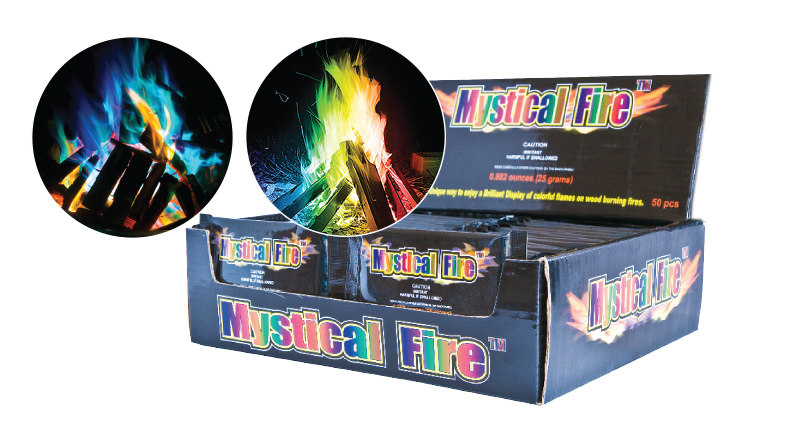 We began producing our own packs a few years ago, taking influence from the original indoor firework packs and adding new items such as Ice Fountains and Indoor Sparklers. 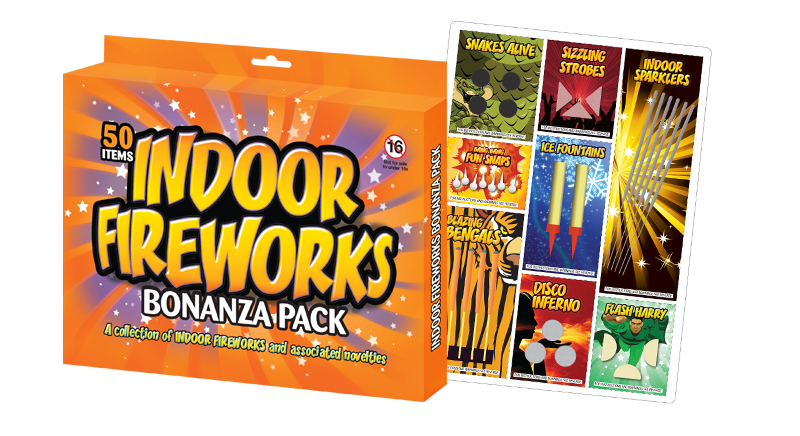 Indoor Firework selection packs are a huge hit not only during Halloween and Guy Fawkes night but also very popular for parties throughout the year. The demand at Christmas is bonkers. With extended testing, OUR new generation of Indoor Fireworks are now a Cat 1 Firework which allows them to be sold throughout the year without a fireworks licence. 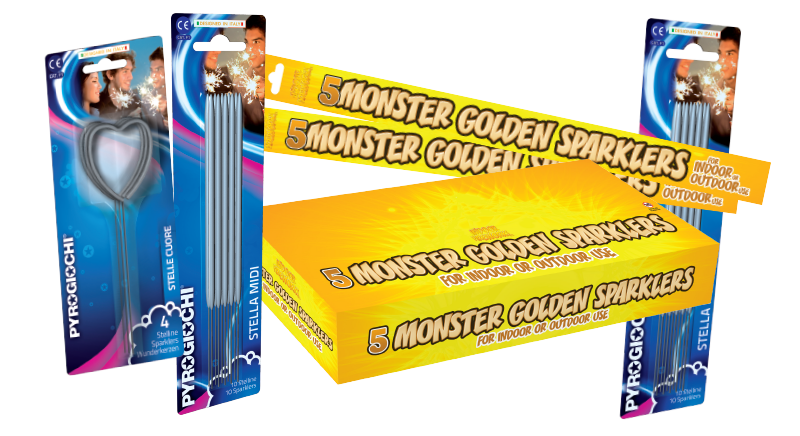 Having gone through rigorous additional testing our sparklers can be sold for both indoor or outdoor use. We offer a range of sparkler sizes up to 45cm including our new heart shaped sparklers. All our sparklers are of superior build quality with sturdy safety handles. This is a non-firework product so there is no age limit of sale. Handily packaged in retail display packs this product is a fantastic item for such a wide range of outlets.